"'Call it a hunch,' I said. Actually, these days I didn't know what to call it." "No, let's just call it a hunch." "As long as we don't call it woman's intuition." "I could call it a hunch, and yet..."
"And yet you know that a hunch does not come from nowhere." —Milton A. Rothman, "Formula for Galaxy 1"
"See that hump? It contains something for you." 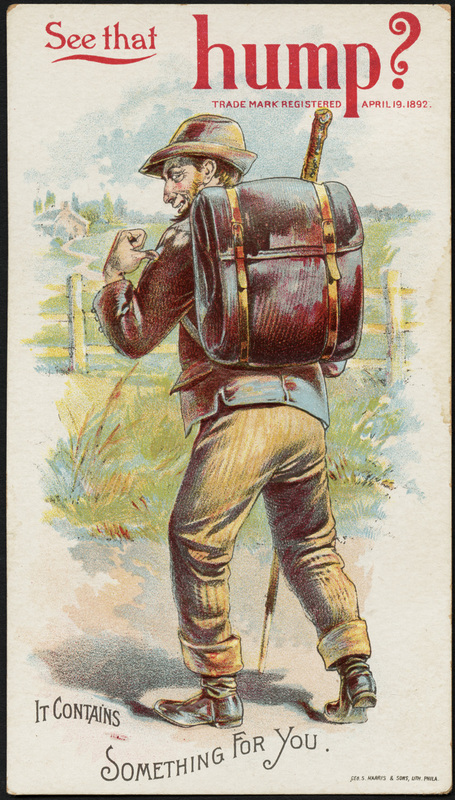 Circa 1892. "'Call it a hunch.' Which Frawley regretted saying as soon as it left his lips." "A hunch, are you serious? 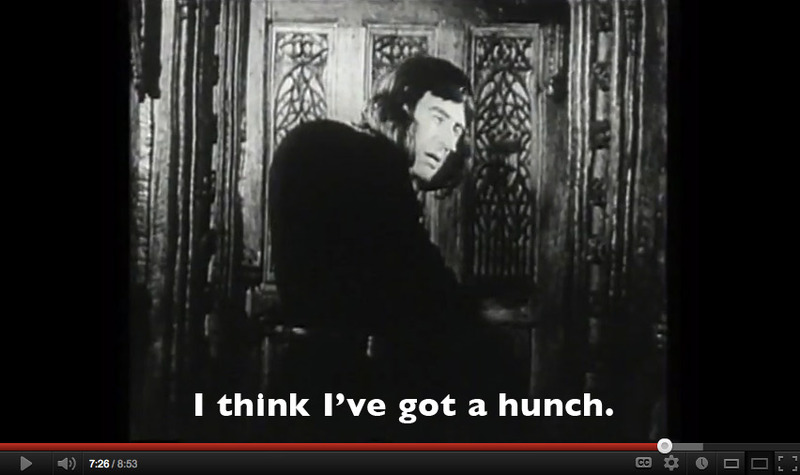 I've got a news flash for you, this isn't the Middle Ages[;] sanctuary went out with Quasimodo." "Don't call it a hunch, or a spooky sensation. Call it reality." "Call it a hunch. We all act on hunches." "Call it a hunch. Call it intuition. Call it thirty-six months kept captive in the hot seat." Call it a hunch, an intuition, a sneaky suspicion, or just plain being nosy. "Call it a hunch, or gaydar, or what have you." "'Call it a hunch, if you want,' I said, 'but—' 'I don't want to call it anything,' he said." A still from the perennially delirious Young Frankenstein. Jonathan spotted this one in the wild. "Call it a hunch, call it a pipe dream." 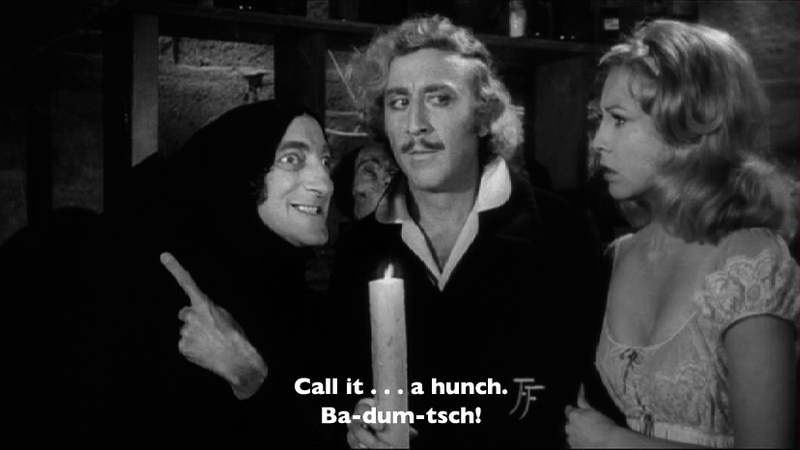 A still from the perennially delightful Young Frankenstein. "'Call it a hunch.' 'A hunch? You wouldn't happen to have anything solid to back that up, would you?'"